Versus the automatic transmissions in rival models, Subaru claims that its Lineartronic CVT in the Legacy has lower maintenance over the long term. The 2012 Subaru Legacy remains the only mainstream, mid-size sedan to offer all-wheel drive; it's also among the better-handling models in this class, and a strong value in 2.5i form. Subaru completely redesigned the Legacy for 2010. While the core essentials remained—a horizontally opposed (boxer) engine lineup and standard all-wheel drive—it became a bit larger and roomier than before, with more luxury and refinement to boot. And with a new CVT automatic on base four-cylinder models, it's now the most fuel-efficient model among mid-size all-wheel drive sedans. You can have the 2012 Subaru Legacy with one of three different engines, and each brings a very different personality to this sedan. Base 2.5i models are frugal and sensible but hardly exciting; turbocharged 2.5GT models appeal to driving enthusiasts and get a 265-hp version of the four; and the 256-hp, six-cylinder 3.6R takes the Legacy into more luxurious territory. You won't see that much of a difference between Legacy models, at least from a distance in Premium or Limited guise. 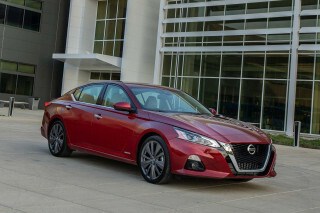 With its recent redesign, the Legacy grew several inches in most directions, with its proportions and stance becoming much more in line with segment best-sellers like the Honda Accord or Nissan Altima. Out went some distinguishing Subaru features like frameless doors, but with the new size and look came a stronger body structure that enables much-improved refinement and safety. Inside, the Legacy breaks away from the cabin designs of other current Subaru vehicles like the smaller Impreza family, or Forester or Tribeca crossovers. The design includes an upright center stack with a metallic-look finish flanked by vents that almost echo the winged, upward theme of the grille and headlights, with the audio system placed high. Across the model line, the Legacy feels just a little bit sportier than rival models from most other automakers--although longtime Subaru fans will sense that this latest model, at least in base form, has a few more concessions to the mass-market (not all a bad thing, really). Steering is very precise and responsive—if a bit over-boosted for some tastes—and the firm yet compliant suspension feels ready for abrupt maneuvers. Each of the models in the lineup has a slightly different feel: Base models and the 2.5GT are light and nimble, while the 3.6R comes across as a little bit heftier, with a nose-heavy emphasis in sharp corners. Fuel economy with the base engine and CVT is good--up to 23 mpg city, 31 highway, making it the most fuel-efficient mid-size AWD sedan, but other models aren't nearly as good for gas mileage. 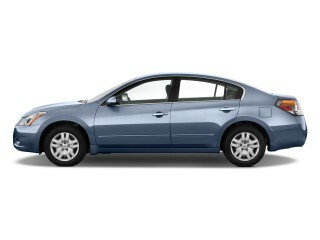 The 2012 Subaru Legacy is a very roomy sedan, capable of accommodating four adults in comfort—even for an all-day trip. The Legacy's front seats are among the better in this class—even in the base model—and they adjust for loads of legroom and have nice, long cushions. Entry and exit to the back are good, we're impressed with the standard cloth upholstery, and the trunk is very spacious. The ride is firm but just supple enough for most surfaces, and the cabin is as quiet as most affordable mid-size sedans. We also like the simple, straightforward dash and switchgear layout, with nice, round gauges. 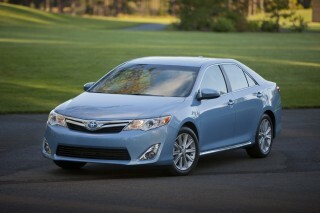 While the federal government hasn't yet tested the 2012 Legacy, it remains an IIHS Top Safety Pick. In addition to the usual roster of airbags and stability control, the Legacy's all-wheel drive system is an asset on snowy and rainy highways. 2.5i and 3.6R models are offered in base, Premium, and Limited models, while the GT comes only in Limited guise--which adds fog lamps, dual-zone climate control, and other upgrades. For 2012, audio systems have been revamped; Legacy Premium models get a new audio system with Bluetooth calling and audio-streaming capability; iPod/USB controls, and six speakers. A new harman/kardon system is optional on the Premium and standard on Limited models, and now comes with HD Radio. The 2012 Subaru Legacy is a cohesive design with a few nice details--especially inside--but it's bland and some may see its exaggerated wheel arches as slightly cartoon-y. The redesign two years ago means the 2012 Subaru Legacy has grown several inches in most directions compared to previous generations of this mid-size sedan. 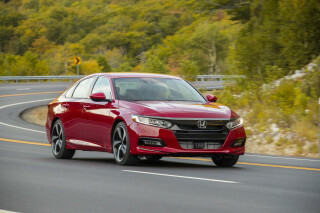 It's now very much in line with the best-selling cars in the segment, including the Honda Accord and Toyota Camry. From the side, an angular snout with swept-back headlights and a distinctly arched roofline taper down to a trunk that looks stubby but actually has quite a lot of room inside. A thin brightwork strip highlights the arch. Exaggerated wheel-well arches break up any slabby appearance, at the expense of looking somewhat cartoonish on a plain-Jane sedan. The body also has two character lines; one runs from the edges of the winged grille (outlined in chrome) into the hood, ending at the front pillars. The other defines the beltline by running from the ends of the swept-back headlights along the sides, arching over the front wheelwell and continuing the length of the car. It's tough from a distance to tell the base 2.5i model from the high-end 3.6R, with its six-cylinder engine and more luxury appointments. Inside, the 2012 Legacy features an upright center stack finished in silver metallic plastic. It's flanked by ventilation grilles that evoke the upward, winged theme of the grille-and-headlamp front aspect, and the sound system is placed high up on the dash. The trip computer is usefully close to the driver's field of vision, and like most Subaru instruments, the gauges are simple, round, and easy to read. The entire cluster, in fact, is fairly self-explanatory; it does its job well without drawing attention to its design. The surefooted handling, all-wheel drive, and accurate steering place the 2012 Subaru Legacy above other mid-size sedans. The 2012 Subaru Legacy continues Subaru's decades-long tradition of horizontally-opposed "boxer" engines, along with standard (and excellent) all-wheel-drive performance. The result is a mid-size sedan with better handling and grip than almost all other cars in its class. Three engines give the 2012 Legacy three different levels of power and performance. 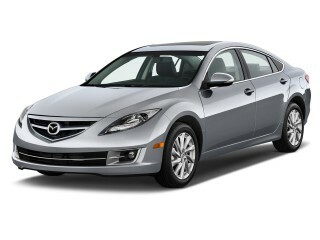 The base 2.5i model gets the familiar 170-horsepower, 2.5-liter horizontally opposed "flat" four-cylinder engine. That's mated to either a six-speed manual transmission (though few buyers actually order it) or a new continuously variable automatic transmission (CVT), that Subaru calls Lineartronic. 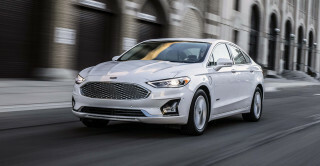 The mid-level powertrain in the 2.5GT provides an upgrade to a turbocharged, 265-horsepower version of the 2.5-liter engine, available only with the six-speed manual. The top-of-the-line 3.6R model is powered by the 256-horsepower, 3.6-liter flat-six fitted to the seven-seat Tribeca crossover model, offered only with a conventional five-speed automatic transmission. What engine you should choose depends on your needs. The base 2.5i model performs just fine, but offers 0-to-60-mph acceleration that's close to 10 seconds. In return, you get good fuel economy for an all-wheel drive mid-size sedan (a best-in-class EPA rating of 23 mpg city, 31 highway) if you opt for the CVT (the manual option cuts gas mileage slightly). The CVT also includes paddle shifters that simulate six fixed ratios; the simulated "downshifts" occur in as little as one tenth of a second. 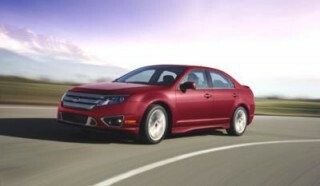 The 2012 Legacy that feels fastest is the turbocharged 2.5GT. It uses the same engine as the pocket-rocket Subaru WRX, with a torque curve that's flatter than previous Subaru turbos and the ability to deliver a smooth flow of power quickly, with little lag from the turbo. The bigger six in the 3.6R offers a completely different character, with relaxed, effortless torque delivered smoothly and quietly. The two larger engines are roughly equivalent on fuel economy. The throttle response on all of the engines is progressive, tipping in gently, so you get a smooth takeoff and quick delivery of power. Compared to blander mid-size volume sedans from Toyota, Honda, Hyundai, Chevrolet, and Ford, the 2012 Subaru Legacy feels sportier. It really competes with the Mazda Mazda6 and the old Volkswagen Passat, which sell in lower volumes but offer a more engaging experience behind the wheel. The steering is responsive and precise--though some reviewers felt it was a touch too light from overboosting--and the suspension is firm while still offering good ride quality.On the best roads, there's surprisingly little front-end lift in hard acceleration or nosedive in hard braking. The result is a feeling of security and capability, in a car that can accommodate abrupt maneuvers without breaking stride. The four-cylinder models feel lighter overall, while the 3.6R is heavier and somewhat more nose-heavy in sharp cornering. Body lean is noticeable when pushed hard, but the suspension never loses its composure. And in bad weather, on slippery roads, or in snow or pelting rain, few mid-size sedans can match the Legacy's all-wheel drive surefootedness. The ride quality of the 2012 Subaru Legacy is good, and it's fairly refined, but slightly let down by interior materials that are solid but somewhat plain. The 2012 Subaru Legacy is a very roomy mid-size sedan, thanks to a wheelbase stretch two years ago that was largely devoted to rear-seat room. It can accommodate four full-sized adults in comfort, even on a day-long road trip. Our 6'6" road tester was able to ride in back without compromise--there's just enough headroom for him in back. Not only is the rear seat comfortable, but the rear door opening is large and wide. Up front, there's plenty more headroom, and the seats are among the better offerings in the class--yes, that includes the seats in the base 2.5i model--with long cushions and extensive adjustment for legroom. The steering wheel not only tilts but also telescopes, and the net effect is to provide comfortable accommodations for drivers of a wide range of heights, shapes, and sizes. Inside, Subaru caters to the real-world driver, with eight cup holders, cubbies in the doors, map pockets and console bins, and an overhead console for sunglasses on all models. The standard cloth upholstery is comfortable and sturdy, and did not attract pet hair on our test. While the stated trunk capacity is 14.7 cubic feet, it appears vast, with a large lid opening and the ability to drop the rear seat backs from within the trunk itself. When folded down, the load floor is flat, making the Legacy sedan among the most practical in its class--and halfway to its hugely capacious Outback crossover sibling. The 2012 Legacy provides a firm but comfortable ride, soaking up potholes, road-surface imperfections, and general coarseness. Compared to competitors--and especially to previous Subarus--the new Legacy has very little road noise. The framed door windows provided in the 2010 redesign may help there, as earlier Legacy models had frameless side glass. Our one concern with the Legacy is the plainness of some interior materials. Subarus have never been the most luxurious of vehicles, there's a profusion of hard plastic and--on the 3.6R model--glossy faux wood trim that isn't quite up to the best. Some portions of the interior have plain, flat expanses of black or silver plastic. They might work on a smaller model, but the Legacy is large enough that you notice the sheet of hard plastic. Build quality, however, is excellent. And for those who pay attention, all Subaru Legacy models sold in the States are built in Indiana. While the 2012 Subaru Legacy maintains its focus on crash safety and secure handling, it no longer receives perfect scores on all crash tests. The 2012 Subaru Legacy continues Subaru's long tradition of good ratings for safety and occupant protection, along with many standard safety feature. There's also the standard all-wheel drive, which aids stability and road safety as well under certain circumstances.. But the Legacy is no longer at the very top of the class for all crash tests. 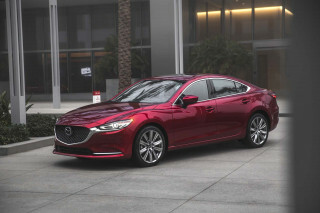 The Insurance Institute for Highway Safety (IIHS), supported by the auto insurance industry, gives the 2012 Legacy its top rating of 'Good' across all categories. Those include front, rear, and side impact tests, plus a new and more stringent test of roof strength in rollover accidents. 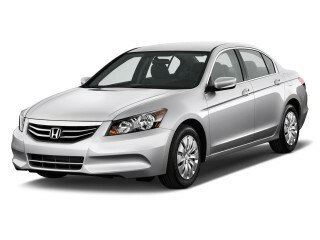 Those ratings together make the 2012 Legacy an IIHS Top Safety Pick. Meanwhile, the federal government restructured its testing program last year. The 2012 Legacy gets four out of five stars for front impact and five of five for rollover safety, but under the new tests it is not rated for either overall safety or side impact. Standard safety equipment on the Legacy--and, to be honest, almost every new car--includes front and side airbags, side-curtain airbags that cover the window opening, anti-lock brakes, brake assist, and electronic stability control. The 2012 Legacy also uses an electric parking brake, which also provides a Hill Holder system that prevents the car from rolling backward or forward when stopped on steep inclines until the driver moves away. The 2012 Subaru Legacy is a strong value for most models, with a long list of standard features—including all-wheel drive—and aggressive pricing that starts at just $20,000. 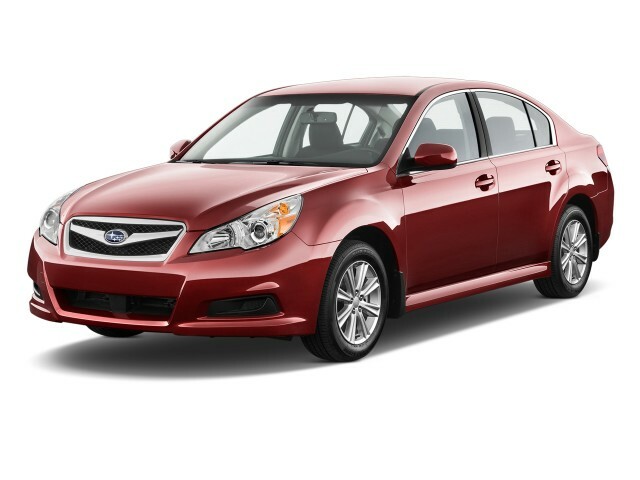 The 2012 Subaru Legacy comes with a few revised options packages and a handful of new features. Our best pick for value remains the base 2.5i model, which is a remarkable bargain at a starting price of $20K (plus $1,000 if you want the higher gas mileage of the continuously-variable transmission). The base car includes power locks, windows, and mirrors (which also fold back); cruise control; air conditioning; a steering wheel that telescopes as well as tilts; split-folding rear seatbacks; keyless entry; and steering-wheel audio controls. The three trim levels are base, Premium, and Limited. For 2012, Subaru has added an optional new Alloy Wheel Package to the base 2.5i model. It includes 16-inch alloy wheels, along with fog lights and all the equipment in the All-Weather Package previously offered only on higher trim levels. Reflecting Subaru's cold-weather state popularity, that package provides two-stage heated front seats, heated exterior mirrors, and de-icing for the windshield wipers. The standard audio offering in the 2.5i is a four-speaker AM/FM/CD system. For Premium models, a new six-speaker AM/FM/CD system is now standard, including Bluetooth for audio streaming and phone connectivity, a USB port, an auxiliary jack, iPod control, and wiring for XM satellite radio (which is a dealer-installed option). A Harman/Kardon display audio system is standard on Limited models (and optional for Premium cars as well). It adds to the Premium system a 4.3-inch display, standard XM satellite and HD radio, and provides nine speakers, including a subwoofer. Turbocharged 2.5GT models are now offered only in the well-equipped 2.5GT Limited trim. That provides chrome exhaust tips, a power moonroof, dual-zone climate control, a power driver's seat, and the 440-watt Harman Kardon premium audio system. The moonroof is also optional on other Premium models of the Legacy. A voice-activated navigation system—we consider it to be one of the better ones on the market—is optional only on Limited models, and includes a backup camera for reversing. The base 2.5i version of the 2012 Subaru Legacy leads its segment for gas mileage when fitted with the Lineartronic CVT, but the rest of the Legacy range isn't nearly as green. The 2012 Subaru Legacy has the honor of getting the highest fuel economy ratings of any mid-size sedan with all-wheel drive. That's a small group, granted, but it's due to the Lineartronic continuously-variable (CVT) automatic transmission that's available in the Legacy 2.5i model. It's rated at 23 mpg city, 31 mpg highway, and a combined 26 mpg--a figure we've met or exceeded in a mix of driving. Sadly, though, the rest of the Legacy range doesn't return gas mileage that's so impressive. Opting for the six-speed manual is one hit (it drops to a combined 22 mpg rating), and the more powerful turbocharged 2.5GT engine takes it down further to a combined 21 mpg (and requires premium gasoline as well). Worst of all, the 3.6R models with the six-cylinder engine and a five-speed automatic come in at 18 mpg city, 25 mpg highway, for a combined rating of 20 mpg--significantly below some competitors' six-cylinder models, though admittedly they may not offer all-wheel drive. I am glad I switched to Subaru. A quiet comfortable ride enough power in all gears. Great gas mileage long trip 33mpg. The best part I feel safe in the car and it's a pleasure to drive. I heard so many good things about the subaru, finally bought one, Wasn't disappointed. Luv it!